Blog Quick Quotes: Friendships Card with Wendy! 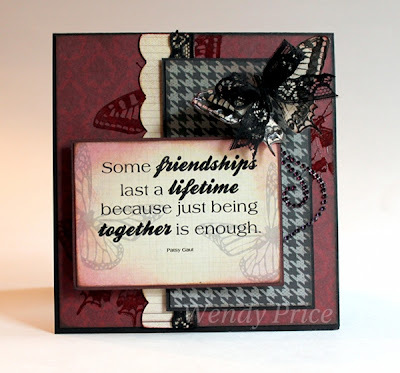 Wendy here and today I'm sharing a card I made using the new Quick Quotes Cracklin' Rose, Sentiments Bundle and PowderPuff Chalk Inks. This friendship sentiment from the Sentiment Bundle became the inspiration for my card. I loved the butterflies on the quote, so I stamped a butterfly image on my pattern paper with Bloody Mary Powder Puff ink. Since the Powder Puffs stay wet for a bit, I was able to clear emboss the stamped images. 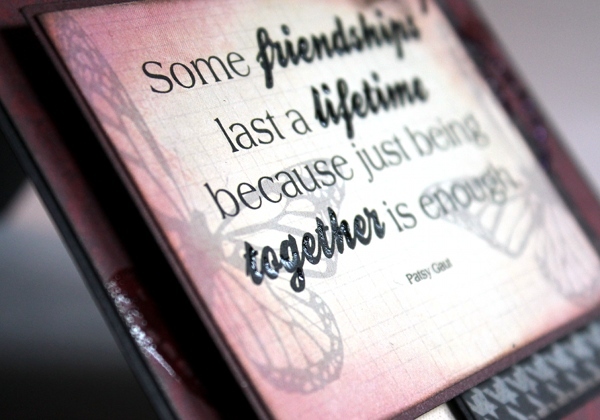 To add a bit of shine and texture to the quote, I went over the bold words with Glossy Accents. 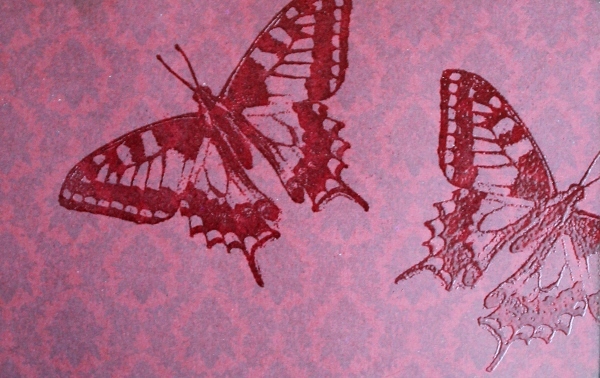 I stamped the butterfly again on Cracklin' Rose 400 in Midnight Confession Powder Puff ink and cut it out. I added a bit of Glossy Accent to the edges of the butterfly. Wendy, this card is gorgeous! 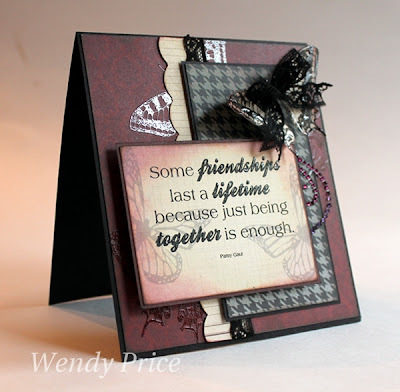 loving the layers and the stamping, this is gorgeous! Wow Wendy! This card is gorgeous!! I love the embossed elements!! Wendy, your card is gorgeous!